Recent swings in global currencies have brought exchange-rate risk back to the forefront for investors with overseas exposure in different currencies. Currency risks are risks that arise from changes in the relative valuation of different currencies. These changes can create unpredictable gains and losses when the profits or dividends from an investment are converted from a foreign currency back into Australian dollars. 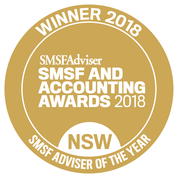 Any investor who holds stocks, ETFs with the likes of iShares, Vanguard or SPDR or managed funds such as Magellan Global Fund in their SMSF portfolio that invest outside Australia will have some exposure to foreign currency, and where the Aussie dollar exchange rate goes will have an effect on these SMSF portfolios. For instance, a strengthening dollar could negatively impact foreign stock market returns and you should consider this risk in portfolio design. Interest rates are critical, because when a country’s rate rises, in many cases, so does its currency. Or in our case if the US interest rate rises or at the moment is being held unexpectedly lower by the Us Federal Reserve, our currency’s exchange rate can fluctuate wildly in response to another government’s actions. Up until recently, this wasn’t much of a worry for Australian investors. Rates were low, the Aussie dollar was getting weaker coming down fro its peak near $1.10 to the US$, and people made money by investing in foreign assets. Going forward that may not be so easy so its is important for Self Managed Super Fund investors to understand currency exchange risk. Here is a good video from Blackrock iShares explaining how currency exposure affects returns on international investments. Now you should note you can also find Currency Hedged ETFs and Hedged Managed funds (as opposed to a Hedge Fund which is totally different) that can help you easily manage the effect of currency on your investments and can be paired with their unhedged counterparts to tailor currency risk while maintaining consistent equity exposure. Of course there is a cost to implementing this protection but that is what good portfolio risk management is all about. Do you want some more education on why you should consider international investments as part of your SMSF portfolio? 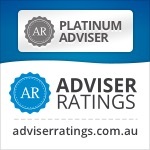 then please check out this previous blog about investing internationally via your SMSF.